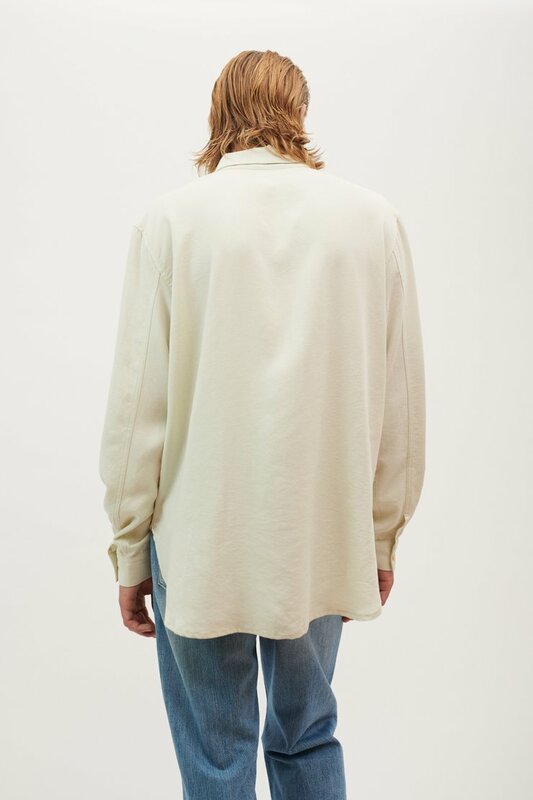 Our Shawl Zip Shirt in Dirt White Silky Wash. 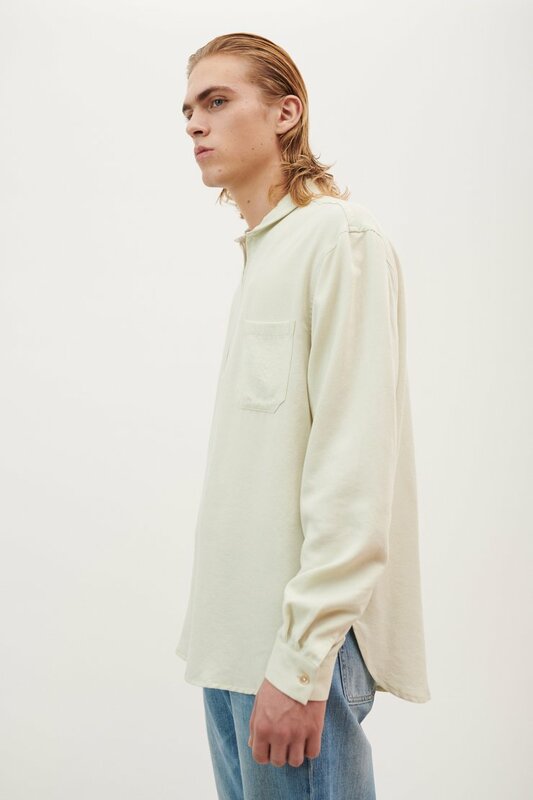 Produced in a pale green, silky textured lyocell fabric, this pullover shirt features a Lampo zip, shawl collar and single chest pocket. 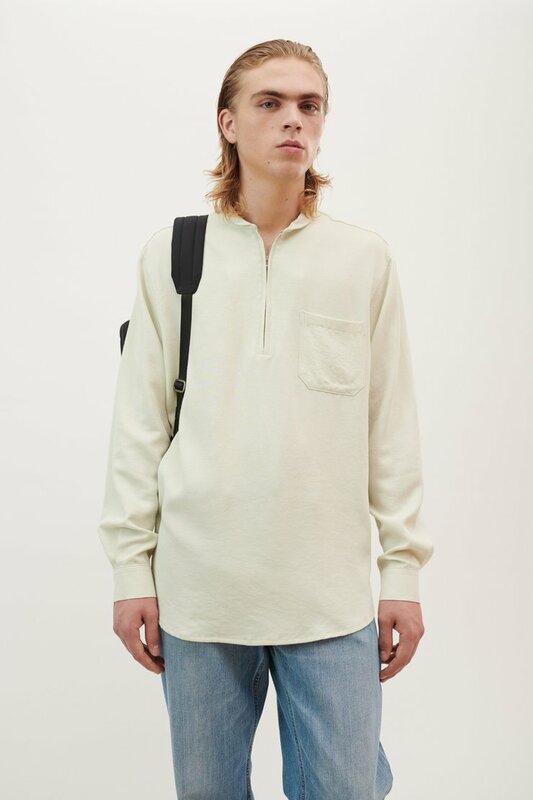 Our Shawl Zip Shirt is true to size with a relaxed fit. 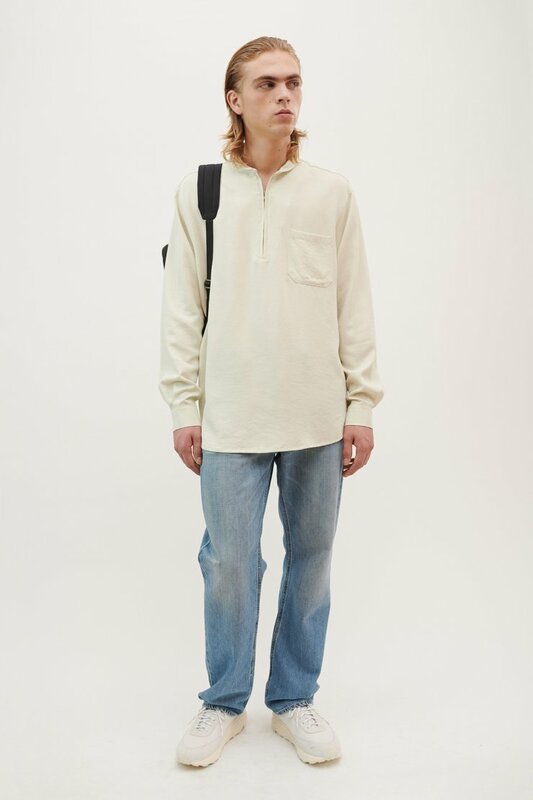 The model is 190 cm tall and is wearing a size M/48.